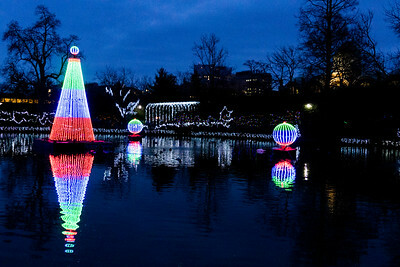 Photos of my home town. 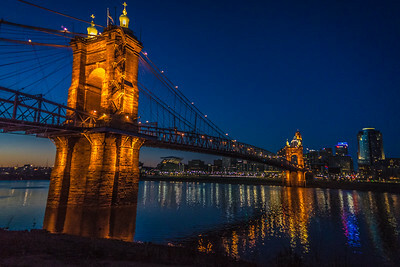 When I first started taking night shots of the city I love I was lucky enough to be there on a "Light Up Cincinnati" evening. 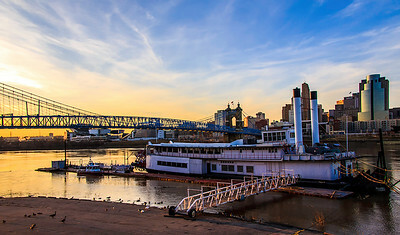 I take different views of the Roebling Bridge all the time - all seasons and times of day. 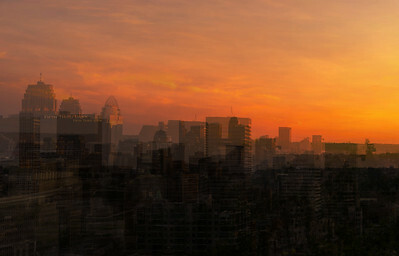 This is a panorama of my favorites as you can also see Paul Brown Stadium and Great American Ball Park. 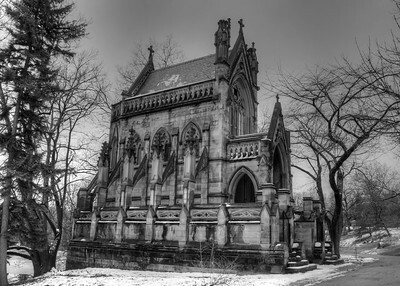 The Dexter mausoleum is one of the largest crypts in Spring Grove Cemetery. 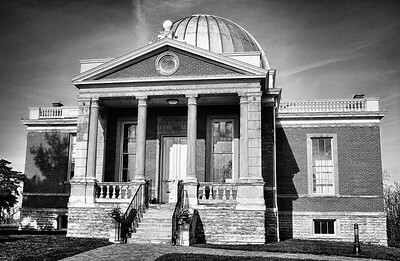 It was supposed to have been build by a whiskey baron. 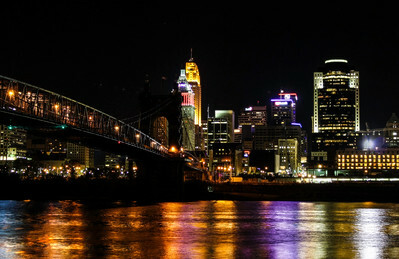 I love Cincinnati by night. 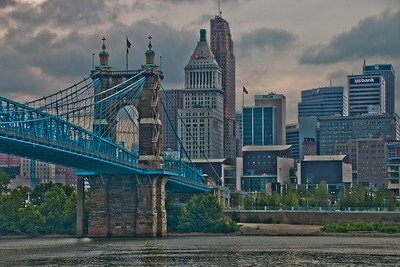 Once again I have a shot of the Roebling Bridge. 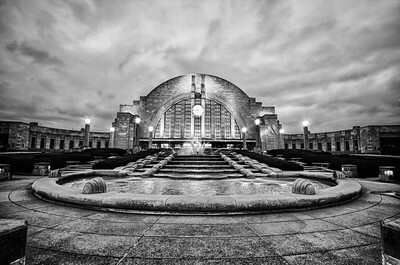 It is one of my all time favorite spots to shoot. 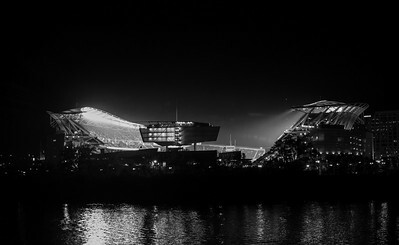 Paul Brown Stadium is home to the Cincinnati Bengals. 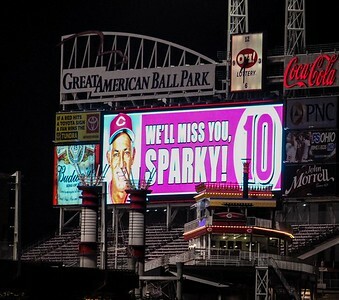 Sparky Anderson was the coach of the Cincinnati Reds for almost forever. 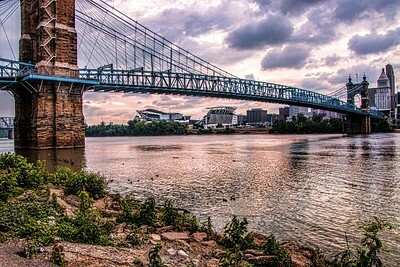 The Roebling Suspension Bridge spans the Ohio River between Ohio and Kentucky. Paul Brown Stadium is in the background. 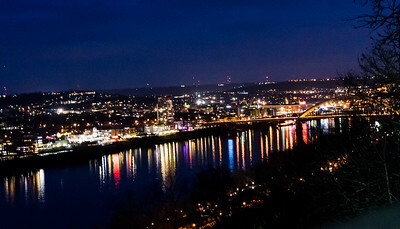 The Ohio River is a gorgeous sight at night when the reflections of two states light it up. 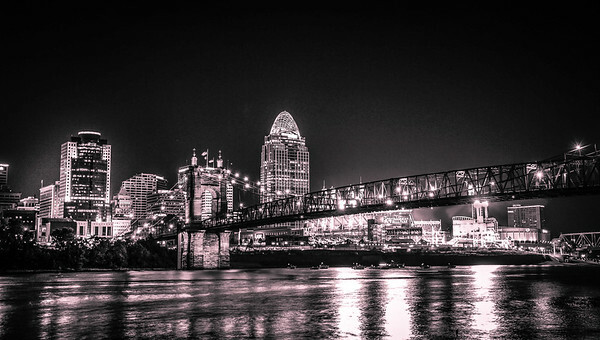 Cincinnati is a gorgeous city at night. 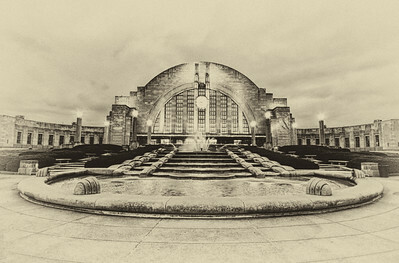 I shot this several years ago - you can probably tell - from Mt. Echo Park. 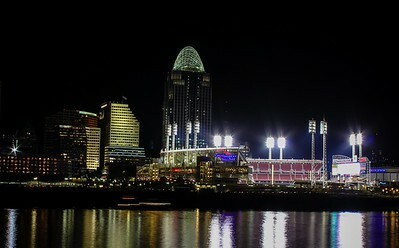 I wanted to get the big red "C" in Cincinnati that they did in honor of the Reds making it to a championship play off game. It was a cool shot to take. 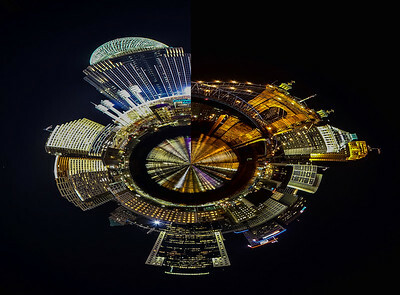 I had a lot of fun as it was one of my first forays into night photography! 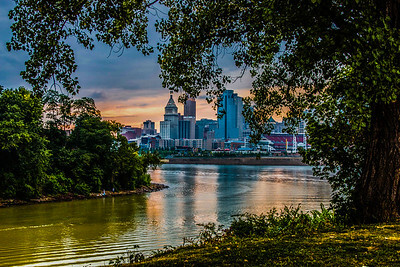 The Licking River empties into the Ohio. 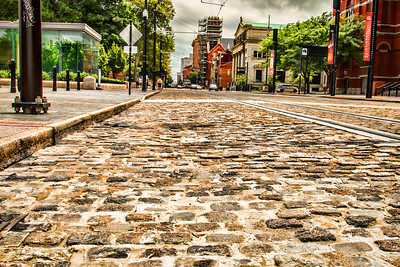 It makes a nice difference of a shot of my home town. 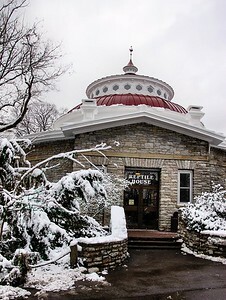 This old boat used to be one of the best restaurants in the Cincinnati area. After too much flooding it closed never to open again. I remember good times there. 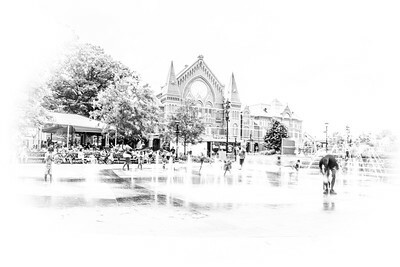 Having some camera fun while the children play in the fountain on a hot summer day. I think this presentation makes it look like a bygone era. 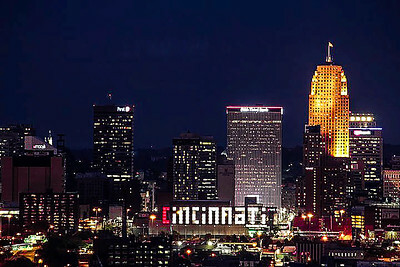 I love the city of Cincinnati by night. 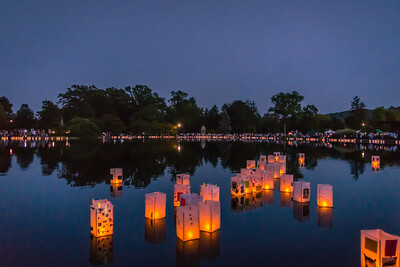 The reflections in the river always take me back to take just one more shot.